A Signature Ice Hockey Trainging Program focused on training players to execute Stickhandling Skills at maximum Speed, Balance, Edge Control, Over-Speed, Explosive Acceleration, Increase Reaction time Change of direction, and confined space agility with a puck are program features. Hockey Edge Program is for the player who desires to learn to maximize their skating edge and maintain their body weight over their skates while stickhandling the puck without losing power or speed. The player will apply specific techniques to use their body against their edges for optimum power and control. These essential skating techniques will enhances lateral movement, explosiveness, quick feet, stability, and power production by weight transfer over edges. Master the art form of quick back ward skating starts while maintaining proper position. Players will learn the art of stickhandling as integral part of being a complete player. Space Control in the corners using your edges and mass movement. Learn the instinctive reactions as to when to perform the elusive maneuvers and set up and make the opposition vulnerable by their poor defensive position. E. Excellent peak performance Power is about the confidence factor, the knowing, the sense of presence that you have to excel & dominate your opponent. Hockey is a “Game of Edges” hockey players who participate in the EDGE program are Trained to Gain the Winning Edge. The Good Old Hockey game is now about PASS: power, agility, speed, and skill. 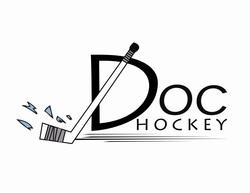 A Signature Program focused on training players to execute stickhandling skills at maximum speed. Balance, edge control, over-speed, acceleration, change of direction, and confined space agility with a puck are program features.